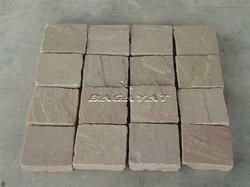 Manufacturer of a wide range of products which include manga pink granite cobbles, black granite cobbles, autumn brown sandstone cobbles, handcut tumbled mint sandstone cobbles, sawn tumbled mint sandstone cobbles and raj green sandstone cobbles. 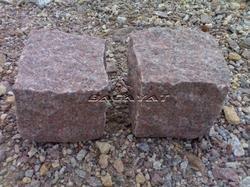 As a leading company we are engaged in offering a wide range of Pink Granite Cobble to meet the demands of our clients. 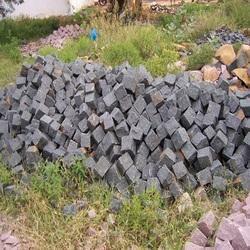 Made up of high quality components these cobbles are highly durable and scratch-free. These products are highly demanded by our clients due to the accuracy, long lasting shine and excellent finishing. On the account of growing clients we as a company have emerged to engage in offering a wide range of Black Granite Cobble all across the globe. These are exclusive in their appearance and are available in different designs and sizes. Our products have been polished and finished to perfection. Moreover these can be easily installed and needs low maintenance. 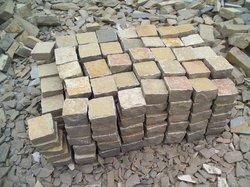 Being a well known company we are engaged in offering a wide range of Brown Sandstone Cobble on the increasing demands of our clients. Our products can be availed in varying designs and patterns as per the choice of our clients. These can be easily bought as these are being offered at reasonable rates. We ensure timely delivery of our products. 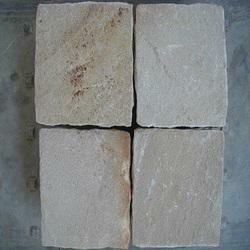 Being a renowned company we are engaged in offering a wide range of Tumbled Sandstone Cobble. These are being supplied in varying designs and sizes due to increasing demands of our customers. Our products are resistant to corrosion and abrasion. These have been constructed sturdily to ensure a long survival. These products are being made available at reasonable rates. With the years of experience and expertise, we are engaged in offering a wide range of Sawn Tumbled Stone to meet the demands of our clients. The entire range of our products is made up of high quality raw material sourced from trustable dealers of the industry. The looks of these products are highly attractive and eye-pleasing. 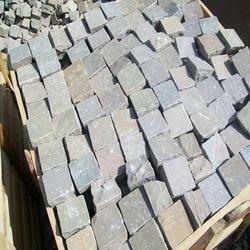 As a reputed organization, we are engaged in offering an exclusive range of Raj Green Sandstone Cobble to meet the demands of our customers. These products are available in elegant designs and alluring green color. Innovative styles and latest patterns are taken into consideration while constructing these products. We are offering these products at market-leading rates. With our firm commitment to quality, we are engaged in offering an extensive range of Mint Sandstone Cobble to meet the needs of our esteemed customers. These products are strong and sturdy in nature and ensure long lasting service life. Our products are easy to install and do not need much maintenance on regular basis. 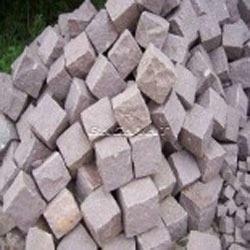 As a leading company we are offering a wide range of Magdi Red Granite Cobbles. These are prepared by a team of experts who excel in their work. These are made with the finest quality material and have an eye catching appearance. Our products are nicely shaped and have an extraordinary appeal. These can be availed at reasonable prices. 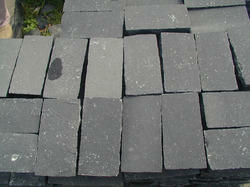 Cobbles Sizes: 10x10 cm, 10x20 cm, 14x14 cm, 14x20 cm Etc. Flooring, Pathways, Streets, Wall cladding, Gardens, Pool Surrounds. 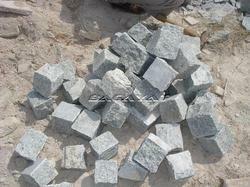 As a leading company we are offering a wide range of Grey Granite Cobble. These are prepared by a team of experts who excel in their work. These are made with the finest quality material and have an eye catching appearance. Our products are nicely shaped and have an extraordinary appeal. These can be availed at reasonable prices. Applications: Flooring, Pathways, Streets, Wall cladding, Gardens, Pool Surrounds. 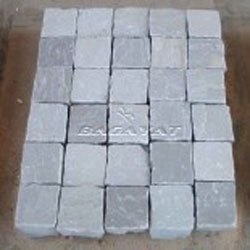 We are supplier of Kadappa Black Limestone Cobbles, also known as Kota Black limestone paving, which is renowned for its wide applications due to its durability and beautiful appearance. 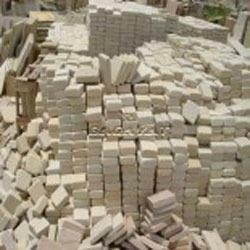 It is used for flooring, landscaping, paving & wall cladding in the forms of slabs, tiles and cobbles in various finishes. 10x10 cm, 10x20 cm, 14x14 cm, 14x20 cm Etc. 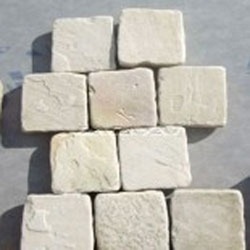 We are supplier of Tandoor Yellow Limestone Cobbles which is renowned for its wide applications due to its durability and beautiful appearance. It is used for flooring, landscaping, paving & wall cladding in the forms of slabs, tiles and cobbles in various finishes in the global markets. 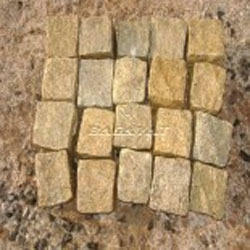 As a leading company we are engaged in offering a wide range of Yellow Granite Cobble. These are prepared by a team of experts who excel in their work. These are made with the finest quality material and have an eye catching appearance. Our products are nicely shaped and have an extraordinary appeal. These can be availed at reasonable prices. Backed by the years of experience and expertise, we are engaged in offering a wide range of Kandla Grey Sandstone Cobble to meet the demands of our clients. These products are resistant to corrosion and are scratch-free as well. Our products are well designed by the experts and are excellent for the indoor decorations. We ensure timely delivery of our products. 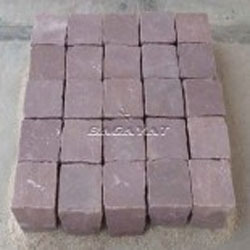 To fulfill the miscellaneous requirements of our clients, we are engaged in offering a wide range of Red Sandstone Cobble. The looks of these products are highly attractive and eye-catching. These products are offered in different shapes and are also available in different sizes and dimensions. Highly advanced technologies and modern machines are used while manufacturing these products.